Paola grew up in a traditional home. Both of her parents supported her ambitions, and she was the perfect daughter – until she started to surround herself with the wrong crowd. Paola began to rebel. Skipping school became the norm. Her mother was devastated when she found out Paola had been skipping school. She tried to convince Paola that education was the only way to have a prosperous future, but Paola refused to listen. Everyday, Paola’s mom would shield her husband from reality. She knew he could not bear the truth about his daughter’s downfall. It was difficult to shatter her husband’s reality, but after realizing Paola was out of control, she finally built the courage to tell her husband the truth. “I couldn’t lose my dad,” she said. Paola could tell the school was very different than the others she’d tried. 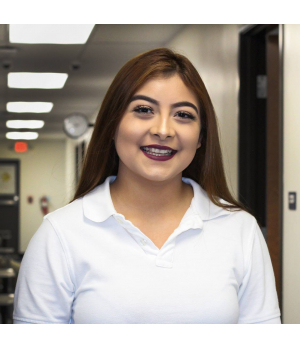 Texans Can’s college-readiness program has even inspired her to pursue more than a high school diploma.